Card Review: 4.5 I'm just not a fan of the gold foil borders. I would have liked a little more explanation on the back as to what this subset was all about, but I'm not complaining. 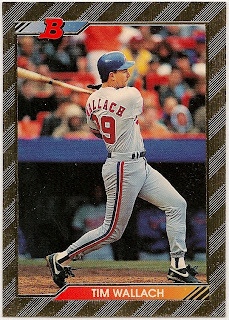 Any time Wallach was given a second card in a set was a good thing. 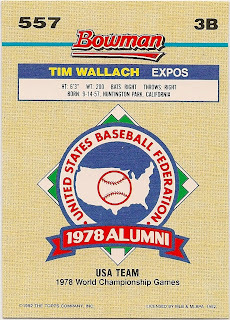 I feel like this was a huge missed opportunity though to feature a younger Wallach in either a Fullerton or Team USA uniform. I imagine there were probably some licensing issues involved though. Fun Facts: *The Expos finished 2nd to the Pittsburgh Pirates in 1992. 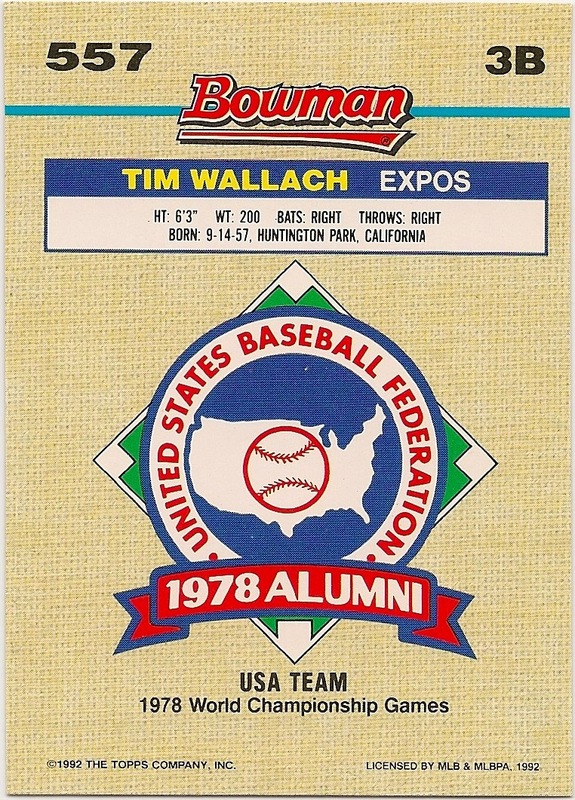 *Tim Wallach started 65 games at 1st base for the Expos in 1992. A single season high for Wallach.